Buying your child’s gifts for Christmas can be very overwhelming. The advertisements on the television begin to multiple and walking into a toy store becomes an experience as the crowds build up and toys are looking at you from every angle, it doesn’t help that the time between now and Santa is ever decreasing! It can be hard to know what toy to get your child/children. 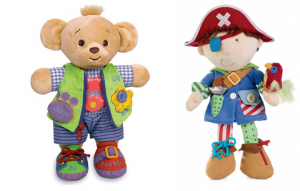 But it is also a great opportunity to give your child gifts that your child will get great enjoyment out of, but at the same time, are toys/games that will enhance your child’s regulation, motor skills and life/independence skills. Here are some ideas from us, which we think will be of great benefit for children this year. Some of these ideas are for little children, while further down are ideas for older children. 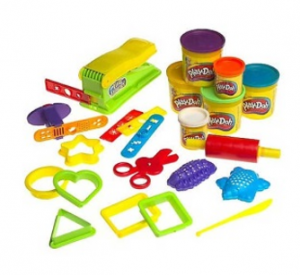 Playdough is a great, non-threatening activity for children with fine motor difficulties. Although Play dough can be used as a hand warm-up tool at times, it is also a great therapeutic tool in itself. It can be used to assist with hand strength, in-hand manipulation and coordination. Starting off by squeezing and squishing the dough for strength and moving onto rolling or pinching the dough will give your child a sense of success (as squeezing and general playing with the dough is much easier than coordinating both hands at the same time to create something!). Play dough tools are a great addition to playing with playdough on its own. Tools such as cutters and pressers (cookie cutters and shapes) are wonderful for hand strength and often require both hands to work at the same time (bilateral coordination). Tools also incorporate challenges and problem-solving aspects to the activity, for example when using a play dough scissors, the play dough may need to be rolled out more for the scissors to cut through it properly. Play is a great way for children seeking tactile input who touch everything in sight, find different textures and materials to rub, and excessively touch people’s faces or clothes. These children may be unable to get enough “messy play”, therefore, playdough is brilliant to incorporate in their daily playing. Adding beads/pasta shells/marbles to the playdough can add extra textures. It can also be used as a tool to build self-esteem. Children love to create pretend food, build ‘snowmen’, create animals, and use the accessories to make imaginative sculptures. There are no rules or correct way to use play dough, therefore children can take pride in what they can make on their own. 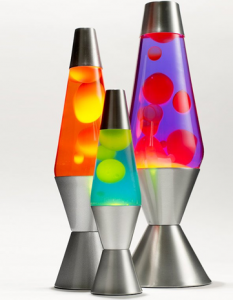 Description: A great addition to any room, lava lamps have coloured wax which heats up and moves around to create different shapes. Lava lamps come in many shapes and sizes, colours and designs and are a great gift for any age group from 5 years onwards. For children who seek visual sensory input, or even for those who are overly stimulated by stimuli in their environment, lava lamps have a natural calming effect when in an environment. When a child feels fearful, overly excited, agitated, restless, hyperactive, controlling or moody, this simple calming visual input can act to reduce their level of arousal/alertness. Lava lamps are also great for children who have difficulty settling down for sleep and regulating sleep/wake cycles, and for those who have a fear of the dark. Description: Balance bikes, also known as runner bikes, training bikes or walker bikes, are bikes which don’t have pedals. These bikes will help your child develop an early sense of balance and control, along with independence, self-confidence and happiness. The bikes offer your child just enough stability and at the same time instability that will teach them to learn balance. This builds confidence and eliminates fear by allowing the child to have their feet on the ground and progress at their own pace. 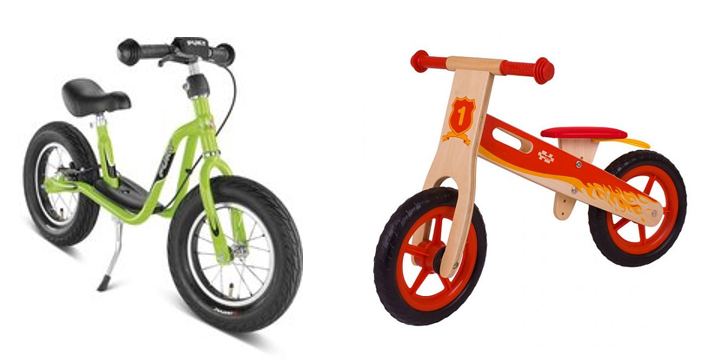 Although a lot of these bikes are smaller and aimed at children aged 2-4 years old, there are bigger models available for children up to 10 years old. These are perfect for children with gross motor difficulties, and difficulties with balance and bilateral coordination. Description: Many different models/dolls are available. Can be used to practice zips, snap buttons, laces, buttons, and buckles. Dressing dolls is an effective way for toddlers to develop the manual dexterity they need to dress themselves. Not only are they developing the motor skills to get dressed, they are learning the process of how to dress themselves, the names of clothing and clothing parts. Dolls with additional clothing to put on or off can be beneficial as the child practices pulling clothes over the doll’s head and arms, and in turn, learns how to perform these same actions on their own body. Dolls are available with boy’s or girl’s clothing and children can also learn how to dress appropriately for different weather (a must for living in Ireland!). 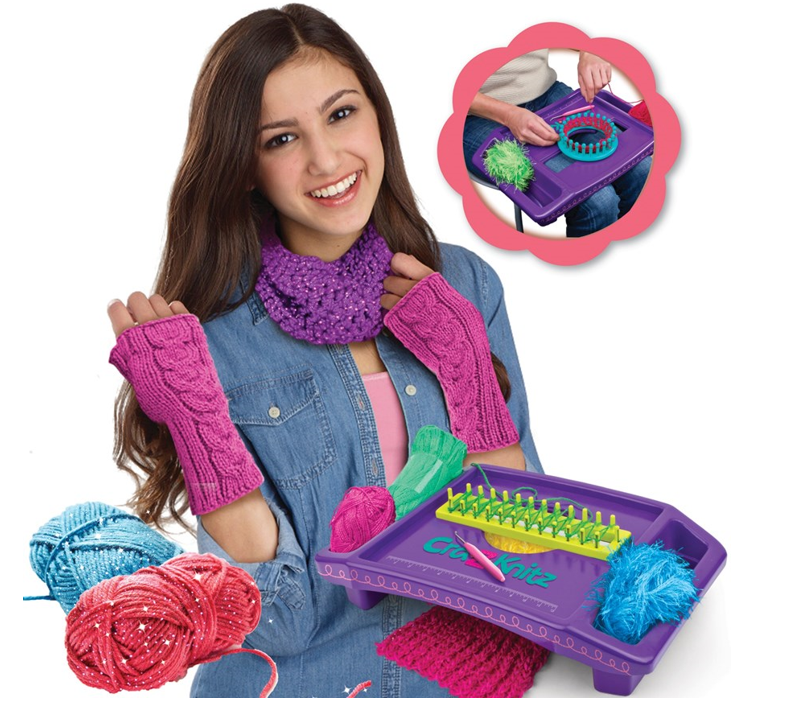 Description of item: This set includes a knitting loom to knit yourself some personal items or presents such as a scarf, hat or anything else you wish. Using the loom makes it a lot easier to make cool designs and it comes with two looms and sparkly yarn. With this year’s obsession with loom bands, this knitting loom is a great way to encourage your child to continue their creative streak. Working with the loom requires fine motor skills, organization and planning. It also requires your child to follow directions and problem-solve while using the loom. With this gift, your child will have an end product to work towards, encouraging them to continue and concentrate on the activity for longer and also brings their creative side out, making something personal and suited to them. The age recommendation for this set is 6 years and up. I actually agree, I don’t like the term hieddn disability’ or Handicap’, but that’s just what Dyspraxia is and has been labelled with and so I put it up here so people can understand that they are the same thing. Also it’s a thing that by making it out to be cheery and a walk in the park’ then people will have not a clue. If I come out with the negative people will become more aware that this is a real life problem and not something we just made up. In order to raise awareness this was the direction I decided to take. However I will make sure it all balances out (like stating the positives behind Dyspraxia!) Thanks for the feedback I appreciate it!